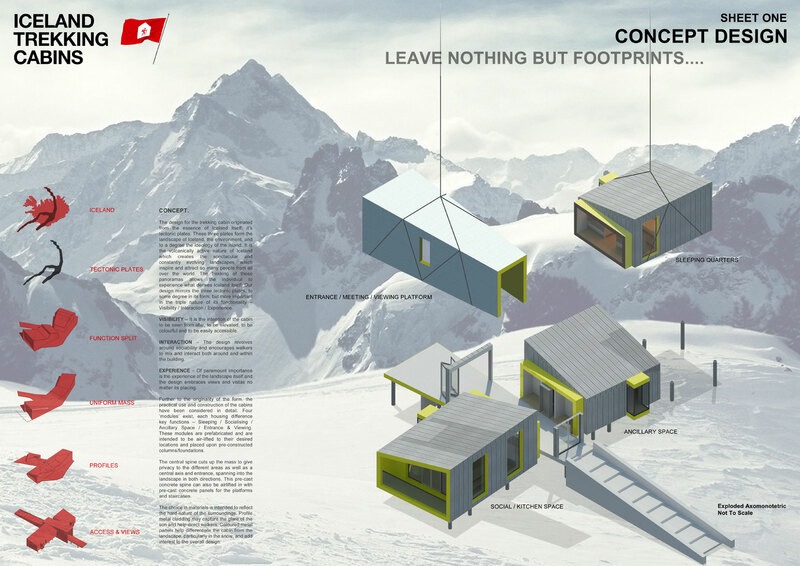 This international competition run by CDS Nord developers called for entrants to design a new concept for trekking cabins which could be easily constructed in remote locations providing shelter and accommodation for hikers. 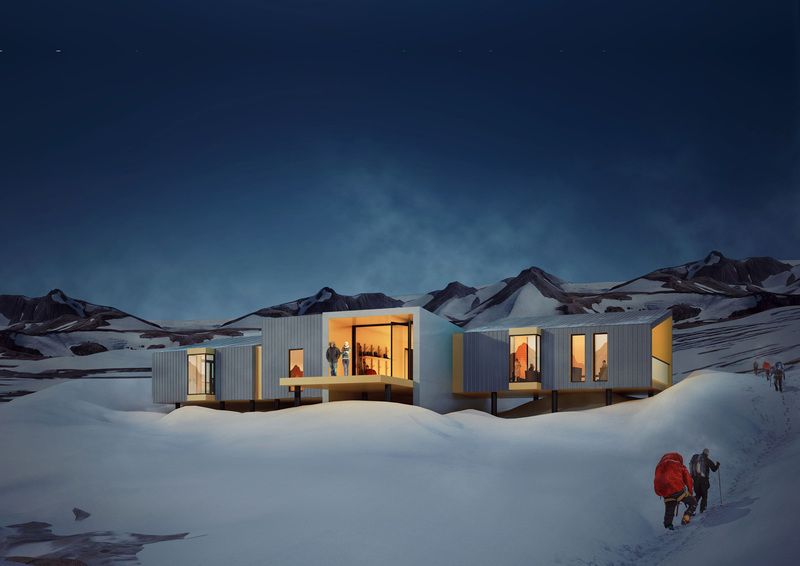 Artform Architects developed a proposal that utilises pre-fabricated sections that can be easily brought to site by helicopter and installed quickly and easily with minimum impact on the landscape. 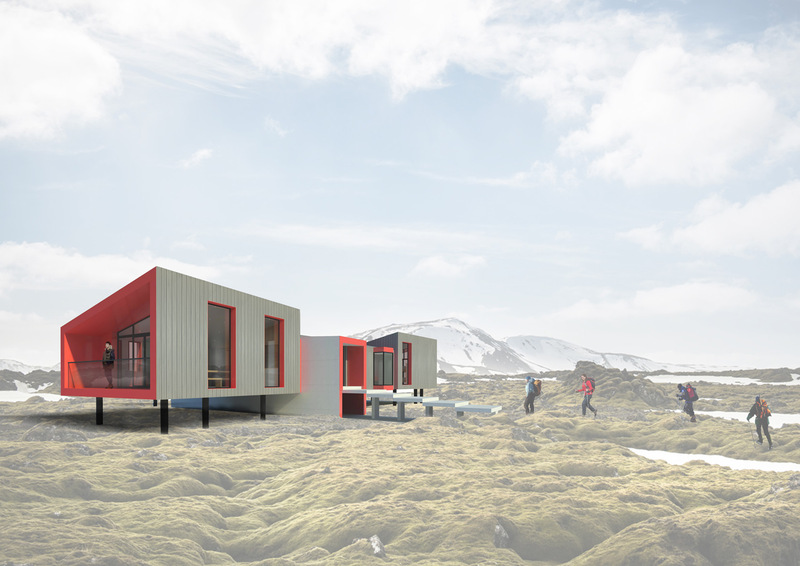 The design is distinctive and recognisable with bold colouring to reference the traditional Iceland architecture. 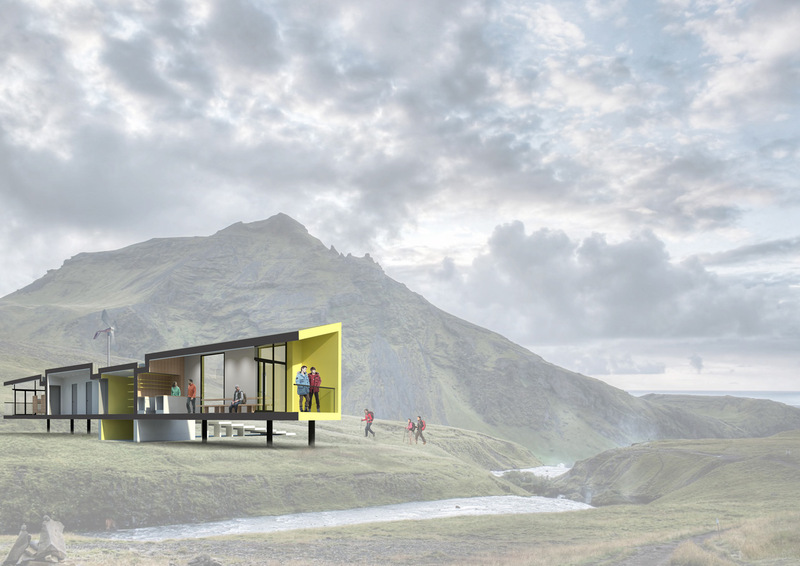 The cabin takes its form and arrangement from the landscape and references the tectonic plates that lie under the Icelandic land mass. Vistas across the landscape from the cabin are afforded by glazed slots framing key views depending on orientation. A viewing platform can also be included to provided a strong connection between the external environment and the cabin itself. Profiled sheet metal cladding provides a robust skin to protect the building from the elements and the internal accommodation allows hikers to socialise in an open-plan kitchen and canteen area.